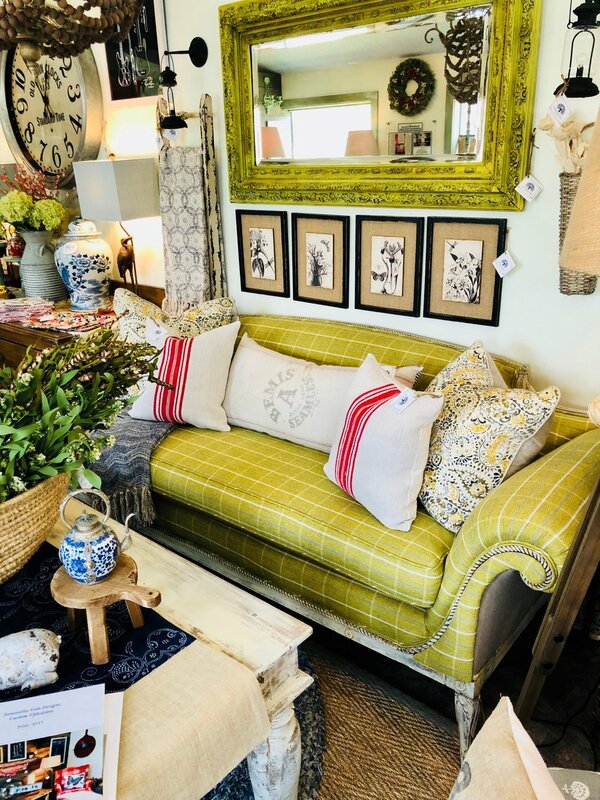 Samantha Gale Designs is a one of a kind Vintage Farmhouse Design Company specializing in the rebuilding , upholstering and designing of furniture and decor inspired by the by gone era of the 1920's, 30's and 40's. 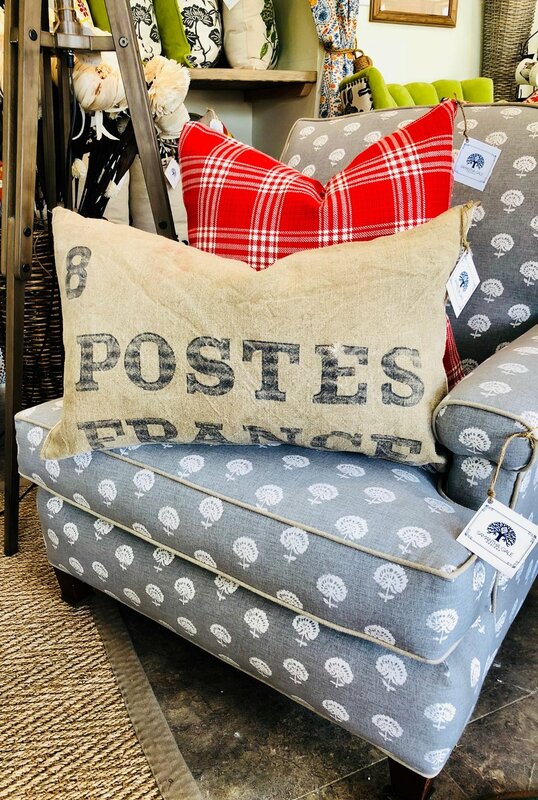 Established in 2013 with a mission to provide comfort and one of kind rustic beauty to her customers homes and businesses through custom furniture, vintage textiles, interior decorating and thoughtful renovations. Inspired by the mountains of the Berkshires and the vintage beauty of the farmhouse style from her childhood growing up on a horse farm, Samantha Gale is a one of a kind talent and designer with a unique ability to design homes full of warmth, comfort and that something special. Farmhouse Sitting Room Remodel with all custom made furniture, window treatments, pillows and home decor. Samantha Gale Designs Retail Store sells unique and special homegoods, custom furniture, art, pillows and much much more for your home made of the finest natural materials and with relaxed living in mind...Call or email for interior decorator, renovation & upholstery services and begin living in your dream home today.